Most people know that Steve Carlton, Robin Roberts and Grover Cleveland Alexander hold all of the Phillies pitching records. However, I’m ranked #3 in games pitched in Phillies history behind #1 Roberts and #2 Carlton. While theirs were mostly starts I only started 18 games, the rest were in relief. 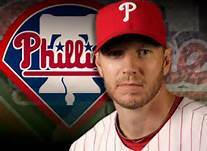 You know who I am but might be surprised I pitched in so many games for the Phils. Who I am? 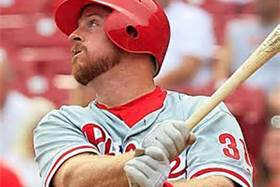 Since 1911, I am the Phillies all time leader in on-base percentage. I’m also in the top 15 in nearly every offensive category but was never really a fan favorite in Philadelphia even though I made a couple of All Star teams. Do you know who I am? I am #6 on Phillies all time list of Stolen Bases but I’m #1 on the Caught Stealing list. Do you know who I am? I am a QB that won the Heisman Trophy. A played in the NFL for 6 seasons with 4 different teams. My only career start was as an Eagle and and we lost so my “official” career record is 0-1. By the way, we were 2-12 that season. Do you know who I am? As a bonus, what year was it?